Today fashionista, countryfriedeggroll, and I went to fashion street and did some shopping. It was extremely crowded and there were all sorts of things to buy! This was definitely our kind of place. I left with a new sweater and wallet, and fashionista got a sweater as well. 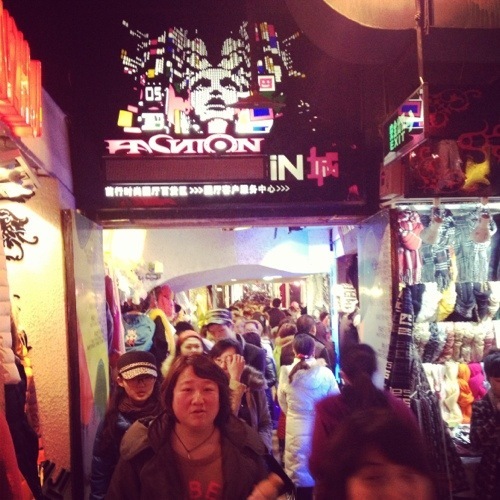 We will definitely be visiting fashion street again, there was so much I didn’t get to buy!! On the way home we grabbed a McDonalds cheeseburger and a Starbucks coffee, which was very satisfying after a few hours of shopping. Once we got back to the apartment, fashionista and I put on our running shorts and hit up the gym. Working out felt good. It had been awhile. I would say we had an extremely productive day. Next time, however, I’ll get up earlier so we’ll have more time to shop! !